Metrolink Guards – Project 365 Day 63 a photo by Ladewig on Flickr. 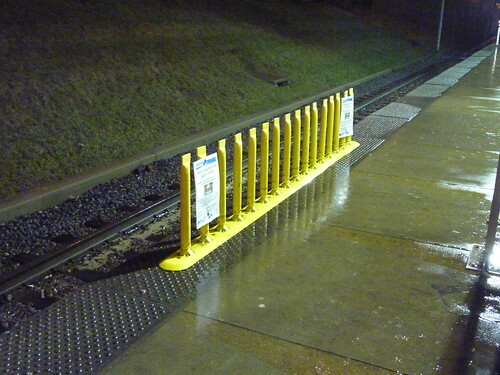 Bi-State is testing this odd thing at the Civic Center Metrolink Stop. It is supposed to prevent people from walking off the platform and falling into the gap between cars. Was there an epidemic of people falling off the platform? Do we really need this?